I am still high from the Koach kallah. I can’t begin to tell you the importance of what we did by sponsoring the Kallah and how appreciative the students were of our sponsorship. The theme was Wandering in the World of Jewish Identity. As we all know, college is a time when students question who they are and what their identity is. In talking to the students throughout the weekend, my belief that having a Conservative Jewish presence on campus is important was not only validated but reinforced. Some students told me that their campus Hillels don’t do things that are religious. They are on their own to run a Conservative minyan and to do any programming they might want. Others are on campuses where the dominant professional resources are Orthodox, often preaching pluralism while simultaneously denigrating Conservative Judaism. Most of the students arrived on Thursday afternoon and left on Sunday. The time between arrival and departure was filled with fun, eating (pretty good food at the BU Hillel), learning, and making friends. 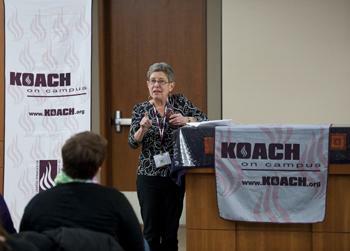 Director of Koach Rabbi Elyse Winick and the Koach Steering Committee planned an incredible weekend. The only thing that was missing was sleep. The ruach generated by 144 students at services, all led by them, was amazing. I was given the opportunity to welcome the students on behalf of Women’s League. 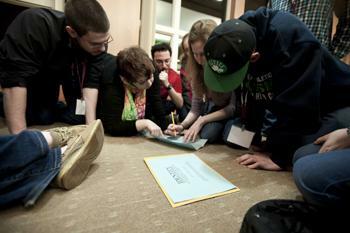 Throughout the Kallah, students told me their stories and why it was so important to be at there. Those who thought that there was never going to be another Kallah were grateful to Women’s League for filling the breach when United Synagogue decided to cut funding. From those there for the first time I heard stories about how excited they were by what they saw and did and how they were enthusiastic to go back to their campuses and energize other Conservative students. Others told me that their campuses didn’t have many Jews, let alone observant Conservative Jews, and that they were thrilled to spend the weekend with others who were serious about their Judaism. Many told me that they hadn’t experienced this kind of ruach since they were in USY or Ramah and how much spending Shabbat together meant to them. 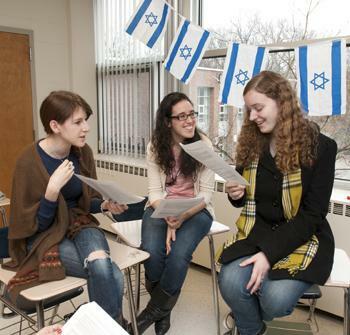 We should all be proud that we provided these students with the opportunity to go back to their campuses and infect others with their enthusiasm, that we have given them a dose of Conservative Judaism with their peers that they need to lead their Conservative minyanim, and that we facilitated their meeting other Conservative Jewish students. Throughout the Kallah Women’s League was thanked by the students and speakers for making the weekend possible. The program booklet listed all the individuals and sisterhoods who made donations up until press time. What Makes Us Conservative Jews and Does it Really Matter? Soldiers, Highway Men and Evil Spirits: When is it Permissible to Extinguish a Flame on Shabbat?